The Burning of Washington in 1814 was an attack during the War of 1812 between British forces and those of the United States of America. On August 24, 1814, after defeating the Americans at the Battle of Bladensburg, a British force led by Major General Robert Ross occupied Washington, D.C. and set fire to many public buildings, including the White House (known as the Presidential Mansion at the time), and the Capitol, as well as other facilities of the U.S. government. The attack was in part a retaliation to American actions in the Raid on Port Dover and the Battle of York. It marks the only time in U.S. history that Washington, D.C. has been occupied by a foreign force. 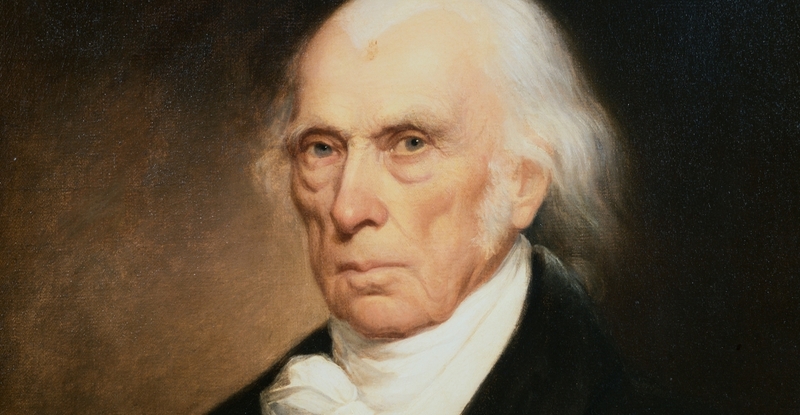 President James Madison and members of the military and his government fled the city in the wake of the British victory at the Battle of Bladensburg. They eventually found refuge for the night in Brookeville, a small town in Montgomery County, Maryland, which is known today as the United States Capital for a Day. President Madison spent the night in the house of Caleb Bentley, a Quaker who lived and worked in Brookeville. Bentley's house, known today as the Madison House, still stands in Brookeville. Captain Blanshard of the Corps of Royal Engineers with his company of Sappers and Miners was employed in burning the principle buildings. He reported that it seemed that the American President was so sure that the attacking force would be made prisoners that a handsome entertainment had been prepared. Blanshard and his sappers enjoyed the feast.